Water security is essential to achieve SDG 6 and resilience to climate change requires that engineering will provide knowledge and technology, leading water governance and its efficient use. WFEO, with the support of a Working Group, must acquire greater relevance in water global decisions, showing the society the importance of engineering to improve the living conditions of all mankind. Today, engineering urgently needs to have a stronger voice on the water scene, in order to remind the society and politicians the importance of its contribution. We need to provide a strong platform to coordinate the engineering water work around the world and so, WFEO will be able to make a significant contribution to reach the global water goals. 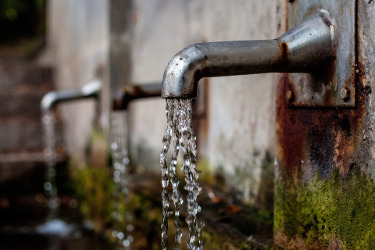 In 2015, 844 million people lacked even a basic water service, 2.1 billion people lacked safely managed drinking water, and 4.5 billion people worldwide lacked a safely managed sanitation service. More than 2 billion people are living in countries experiencing high water stress. Engineering contributions will be essential to reach this target. Adapting to climate change is making the challenge even more difficult. Engineers are needed to design and operate dams and reservoirs, channels, pipelines, water treatment plants, and also for planning and managing water resources. New nature-based engineering solutions are emerging to improve rivers, underground aquifers and urban drainage. Safe wastewater re-use and desalination will be needed as well. New irrigation technologies are needed as agriculture demands account for 70% of all water use. Engineers are also needed to help prepare for floods and droughts to reduce economic losses from natural disasters. 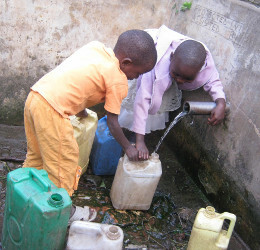 Integrating information technology into water and sanitation systems offers exciting new solutions. Improved tracking of water flow and consumption can provide the improved security needed to attract private investment while still ensuring that reliable services meet basic human needs. Water has a well-established international dynamics with publications and recurring appointments (Global Conferences) in which we miss the specific engineering contribution, quite necessary to achieve real and effective goals. WGoW activities shall be addressed to make this to engineering in these publications and appointments, highlighting the role of engineering and contributing effectively to reach the desired results. • Contributions to the SDG 6 and their goals through participation in UN Water Task Force Groups. SDG 6 includes eight global targets that are universally applicable and aspirational. However, each government must decide how to incorporate them into national planning processes, policies and strategies based on national realities, capacities, levels of development and priorities. They cover the entire water cycle including: provision of drinking water (target 6.1) sanitation and hygiene services (target 6.2), treatment and reuse of wastewater and ambient water quality (target 6.3), water-use efficiency and scarcity (6.4), implement integrated water resources management at all levels, including through transboundary cooperation (target 6.5), protecting and restoring water-related ecosystems (6.6), international cooperation and capacity-building (target 6.A) and participation in water and sanitation management (target 6.B). WFEO can participate providing its inputs through WCCE representative, Tomás A. Sancho, because it is partner of UN Water and it is invited to that. At least, providing key-note speakers and presentation of papers on behalf of WFEO at the World Water Forums (every 3 years) and in the annual meeting of SIWI (annual Stockholm Water week). Also in important regional events. • Preparation of engineering positions and statements typical of engineering and Contribution to global documents of UN Water and their agencies (annual preparation), such as the yearly WWDR – World Water Development Report – . This involves working on the various documents produced through participation in the corresponding Groups. Associations with specialized global organizations that are considered relevant for work will be established. Collecting and disseminating the activities performed by different members of the WFEO and their professionals. Specific initiatives that can agree on the WGoW, that require specific works to be developed by experts, which must have specific funding to be carried out. If it is convenient, they will be developed counting with global specialized associations such as IAHR (International Association of Hydro-environment and Research), IWA (International Water Association), INBO (International Network of Basin Organizations) or ICOLD (International Comission on Large Dams). 1st Product: “Managing droughts and floods: Best practices and engineering contribution”. Summer 2019, with delivery anticipated at WEC2019.